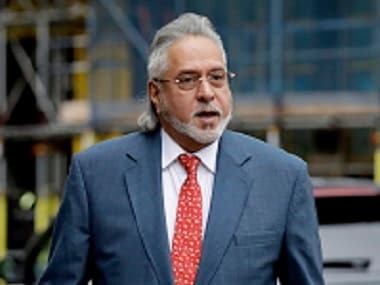 The Congress has urged "like-minded" Opposition parties to join in solidarity against the Narendra Modi government on the issue of the Rs 11,400 crore Punjab National Bank fraud. Taking an aggressive stand on the issue, the Congress said it will intensify its agitation and will garner support from Opposition parties in Parliament using a two-pronged strategy. 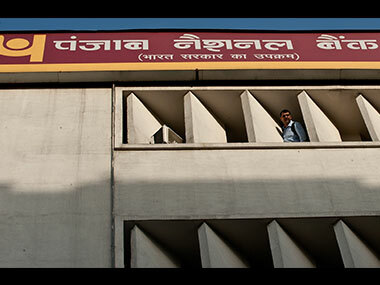 "The PNB fraud is the biggest scam to have hit the banking sector. Before coming to power in 2014, and for three-and-a-half years thereafter, Prime Minister Narendra Modi blamed the UPA government for all ills faced by the nation and promised that he would clean up the mess. But nothing has happened. Instead, we are seeing such huge scams," said senior Congress leader and former Minister of State for Home Affairs, RPN Singh. Singh added that the Congress will take the lead in this regard and go for an all-out attack against the government. During its high-level steering committee meeting headed by Congress president Rahul Gandhi on 17 February, it was decided that the party would go on an offensive against the NDA government on the Punjab National Bank scam issue, both inside and outside Parliament. The action inside Parliament will begin during the second half of the Budget Session from 5 March, when the House meets after a recess of almost one month. To this end, Congress has sought support from Opposition parties to attack the BJP-led NDA government. The committee formed will demand a joint parliamentary committee (JPC) probe into the scam. 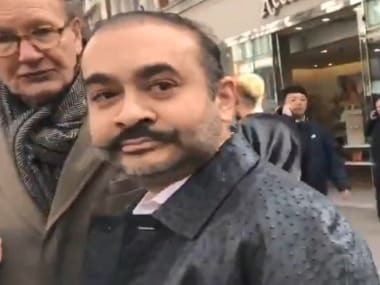 Outside Parliament, Congress and other parties will hold press conferences, stage demonstrations and protest rallies to highlight the enormity of the scam. 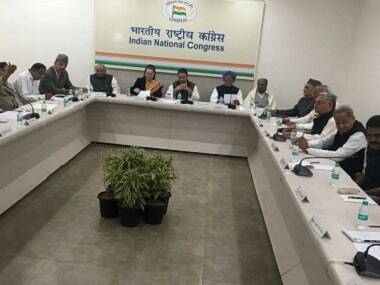 Immediately after the steering committee meeting, Congress president Rahul Gandhi launched a scathing attack on Modi. 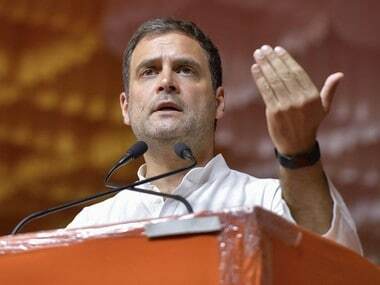 "The prime minister has to tell the nation who was responsible behind India's biggest bank scam," Rahul said, while addressing the media. However, both Congress and other Opposition parties have now realised that the war against the Centre has to be taken to the ground. Mere press briefings, statements and debates on news channels won't help. Within closed door meetings, the parties have begun chalking out strategies. "We have to pursue this issue aggressively among the masses and on ground, and also in poll-bound states. It won't be limited to press conferences. We wanted to give some time to the government, but not anymore. Truth will come out," senior Congress leader and Ludhiana MP, Manish Tewari, said on Tuesday. Meanwhile, the Left Front too has a strategy chalked out and has said it won't remain silent. "The PNB scam is the biggest fraud in the country. The Left will be at the forefront of this agitation, whether it's on the floor of the Parliament or outside. We'll also take it through our bank unions across the country," Communist Party of India (CPI) Rajya Sabha member, D Raja, told Firstpost. The CPM politburo has also called upon its party units to organise protests across the country. Demanding a JPC in the case, it said that in the past, like in financial fraud involving Harshad Mehta or Ketan Parekh, JPCs were constituted, and finance ministers of the time had deposed and corrective measures were put in place. "Similarly, the current finance minister must be made to answer all the relevant questions. By joining hands with other Opposition parties through floor coordination, we'll highlight the failures of the NDA government in Parliament. It's not just about exposing Nirav Modi, Mehul Choksi or Vikram Kothari, but we also need to attack the economic policy that has led to such big scams in the banking sector. Our aim is also to expose the failures of liberalisation that have jeopardised India's banking system and led to such high level of corruption among bank officials," CPM central committee member, Badal Saroj, added. Rashtriya Janata Dal (RJD) Lok Sabha member, Jay Prakash Narayan Yadav said, "We are with the Congress and other Opposition parties on this issue. The prime minister had promised that he would bring back black money stashed abroad to India. It didn't happen; instead the white money of the public is siphoned abroad." Meanwhile, party-affiliated unions have also become active on the ground. The Indian Youth Congress staged a protest march against the central government on Wednesday in the national capital. The CPI-led All India Bank Employees Association (AIBEA) has demanded a parliamentary probe, and said it would stage demonstrations in several states against deteriorating banking system in the country. The summer is yet to set in, but the heat is already on the government ahead of the upcoming Budget Session of Parliament.